Juniper is a great plant for filling in space fast, whether as a groundcover, a screen, or vertical punctuation in a border. Its scaly foliage is feathery and graceful, a good contrast to large-leaf plants. For low-water or rock gardens, the low-growing juniper forms a naturalistic mat that often acquires richer color in the winter. Juniper thrives in a full-sun site in well-drained soil. Most varieties are drought-tolerant once established. 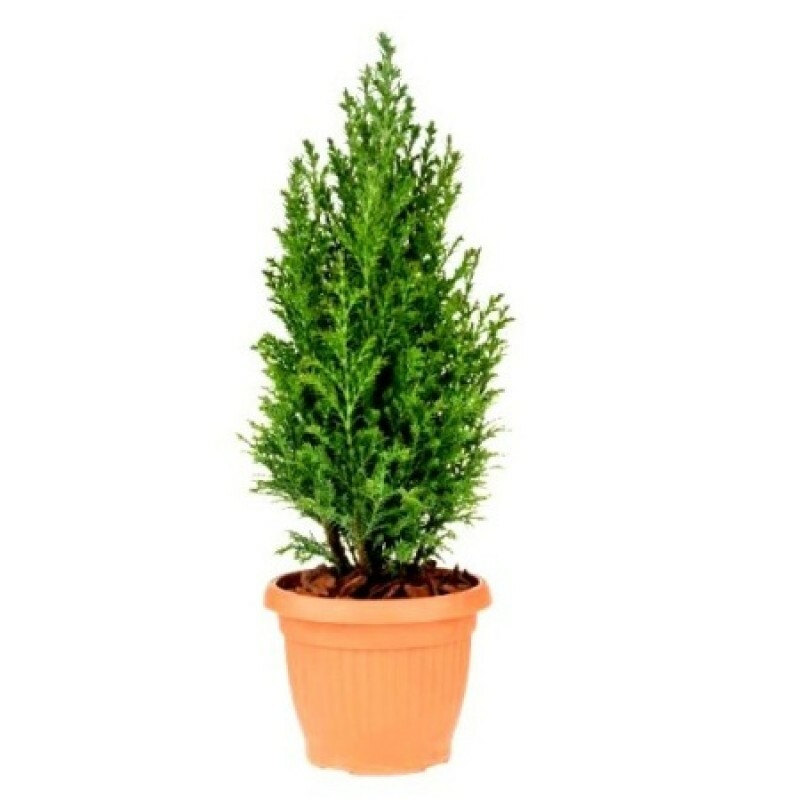 These plants are low-growing evergreen shrubs. Plants in the Juniperus genus are considered to be conifers, although, granted, most people would mistake the cones for berries. This mis-identification is perpetuated by the fact that you will often hear talk of these so-called "berries," which are used to flavor both cuisine and gin. The plants are also dioecious and considered to be one of the creeping junipers. Foliage is a silvery-blue, thus the first half of its common name. The second half comes from its growth habit, as it forms a dense, low mat (rug) - making it an ideal groundcover. Height 4"-6", spread 5'-6'. Foliage turns a purplish-bronze in winter. Blue Rug spreads rapidly and is relatively resistant to some of the diseases that plague juniper shrubs. Incidentally, what look to be blue "berries" on junipers are technically cones. No plant is "no-maintenance," but this one is certainly "low-maintenance." Groundcovers that flower require much more care. Space 4'-6' apart to form a dense enough mat to crowd out weeds. To aid their weed-control efforts prior to maturity, make sure they're well mulched (but don't pile up mulch over the plants' crowns). Don't allow fallen leaves and branches to smother young plants. Thin out mature plants for better air circulation, which well help avoid disease; but don't prune severely. There are numerous types of junipers, and they come in a variety of heights, forms, colors (golds, blues and greens) and textures. But note that not all junipers are suitable for groundcovers. Some junipers are trees, while others fit the more usual image of "shrubs," i.e., plants that stand anywhere from knee-high to chest-high. Such plants are suitable for privacy screens and hedges. But the focus of this article is the vine-like, low-growing junipers. Where and why would you grow such plants? Although they can be grown on flat land, juniper groundcovers are most prized as plants that can cover a sunny slope, where they serve 3 purposes simultaneously: erosion control, weed control and eliminating the need to mow where footing is treacherous. In addition, many other plants find it difficult to thrive on sunny slopes, where water runs off so quickly that the vegetation is apt to go thirsty. But juniper, on the contrary, tends to be relatively drought-tolerant ground cover and craves excellent drainage. Many varieties besides Blue Rug juniper plants are suitable for groundcovers. A green cultivar of Juniperus horizontalis, namely, 'Prince of Wales,' purportedly grows even more quickly, while another cultivar, 'Mother Lode,' bears greenish-gold foliage. Meanwhile, the 'Pancake' cultivar stays smaller than these, both in terms of height (an amazing 2"-3") and spread (2').